Sometimes it can become quite confusing with the sheer number of reports – barometers etc. published by various organisations like KPMG, PWC and Kroll. Whilst it has always got to be borne in mind that there is some promotional element to all these reports they do allow us to gauge the current levels and trends in relation to Fraud on a global, regional and National level. Whilst the data is not always consistent across all sources mainly due to collection methods and sample styles one thing they do all show is the sheer size and depth of the problem. 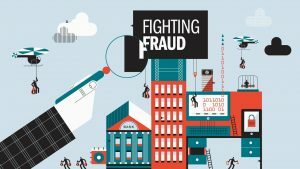 PCW have just published their Global Fraud report for 2016 which whilst showing a slight reduction in the numbers and level of reported fraud clearly evidences the fluid nature of the problem. Whilst understanding fraud in a global sense we should not lose sight of the smaller but much more impactful nature of boiler rooms, mass market fraud and “social engineering”. Despite much more publicity fraudster continue to prey on the good nature and trust of us all, in particular the Old and so the need for awareness and education will continue and CFIL are committed to working with all interested parties from small businesses through to corporates providing relevant and focused education in all areas of prevention, detection and response.